Great news! I’m going on a tour of sorts to a few Transgender Conferences this summer. So far 2 out of 3 workshop proposals have been accepted, and I’m waiting to hear on the last one (fingers crossed). The workshop is titled Non-Binary Transition: Exploring the Options. It is not intended to provide an overview of all transition options out there; rather, it’s to explore options people have when taking a non-standard route to transitioning, and to focus on the means of obtaining these. This includes clarifying a lot of misconceptions, outlining alternatives and loopholes, and most importantly encouraging people to seek out more resources and information, and to understand that what they want might just be possible. My main worry is is that it ends up being a total disaster! Aside from that, I am struggling with narrowing the scope so as to be useful, but not repetivitve of basic concepts. Of course I want to be super knowledgable about a lot of information, some of which I am very familiar with, some of which is very new to me. As a starting point I already sent out the Genderqueer / Non-Binary Transition Survey, which helped gather the needs and questions of the community, and stories around how people have transitioned, plan to transition, or would like to transition. I still haven’t finished reading through all the responses, though I do plan to. Next month will be spent gathering more information, lots of research, and arduous planning, so that everything fits in an hour and a half. As you can see, I plan to cover a lot of ground regarding non-binary transition, so I welcome any comments you might have on this. If there is a question you personally have or feel should be answered, or feedback on what you think might be important to address (or irrelevant enough to skip), please please please give me your thoughts. And here’s the lineup so far. First I’ll be heading to the Philadelphia Trans Health Conference, held in Philadelphia PA on May 31st – June 2nd. This conference is totally free and is one of the biggest, if not the largest, transgender conference, with over 200 workshops this year. I’ve written before about how it was a life-changer for me, so if you can make it, at least for one day, I cannot recommend it enough. My workshop is scheduled for Saturday June 2nd, and I’m already so nervous. 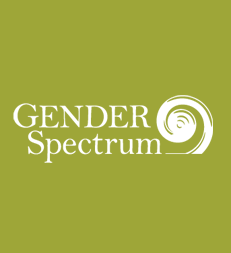 Next up is Gender Spectrum Conference, which I might or might not present at, but I will definitely be there volunteering (like last year). This one is in Berkeley, CA, on the weekend of July 13-15. It’s geared specifically towards transgender and gender non-conforming youth and their families, so the audience tends to be a little different – lots of little kids, and lots of concerned and caring parents. Moreover, this year’s theme is “Think Outside the Boxes” which is a good indicator that the conversation surrounding genderqueer and non-binary identities is spreading. Last is Gender Odyssey on the West Coast in Seattle, WA, August 2-5. The price for this one is on a sliding scale, but at a minimum it’s $165, although they do have scholarships and subsidized rates. I haven’t received all the details yet, but I need to make travel arrangements soon. Gender Odyssey is also a considerably large conference, and the workshops that are already listed sound intriguing, so I look forward to checking it out! I always have a blast at conferences, learn tons, and leave feeling inspired and motivated. Hope to meet some of you there! I, and possibly my GQ daughter, will be volunteering at Gender Spectrum this year, too. Maybe, if time allows, we could meet. Let me know if you do go so we can connect. Although I will likely be hard to miss anyway – look for a little spunky person running around! It’s official! I will also be presenting an Intro to Non-Binary / Genderqueer Identities Workshop at the Gender Spectrum conference in Berkeley. It will be geared towards cis, trans, gender non-conforming, any and and all types of gender creative teens between the ages of 13 to 19. This will be a bit different than the Transition workshop, but should be loads of fun. MAN I wish I could go to one of these! Is there a possibility of you coming closer to Chicago/Illinois in general to present this someday? Hopefully! I would love more information/talk on this subject. Yeah I bet that will be tough to figure out, good luck with it all! and I am the proud roadie that will be supporting maddox in most of these conferences! Ah, I’d love to go to Gender Odyssey (I live in the Seattle area), but I don’t have the money! They have funding and scholarships, you should consider applying if it’s still open! I really loved your presentation and it was good to meet you! I learned a lot, and I think many of the other people there did as well. Thanks Zak! I was looking at you and Kris like the whole time for reassurance. I saw a lot of head nods, which hopefully means stuff was resonating with people. I’ll be staffing the registration table Saturday & Sunday at Gender Spectrum, as well as providing IT support on Saturday. Hope to see you there! How exciting! You know what I look like so say hi.